Brief Encounter Tickets are now available for Emma Rice's production at the newly restored Empire Cinema. 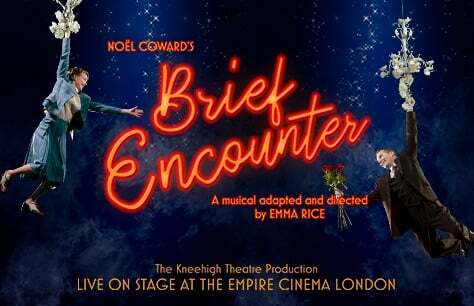 Brief Encounter will be directed by Emma Rice, designed by Neil Murray, with lighting by Malcolm Rippeth, original music by Stu Barker, sound by Simon Baker and projection by Gemma Carrington & Jon Driscoll. You may know the movie but don't miss the chance to experience this heartbreaking but uplifting love story in a thrilling new format. Tickets for Brief Encounter at London's Empire Cinema are available now! Absolutely loved this show, incredibly talented cast. I felt swept away to a magical world for two hours... wish I could go back and see it again and again! It was simply one of the most inventive, funny, touching and entertaining pieces of musical theatre I've ever seen! Such an amazing cast and such effective staging - superb! SAVE UP TO £27 ON TICKETS! !